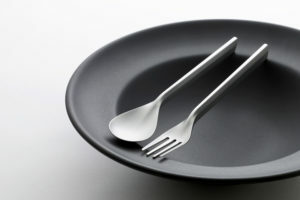 business has the leading brands and products for professionals and amateurs. 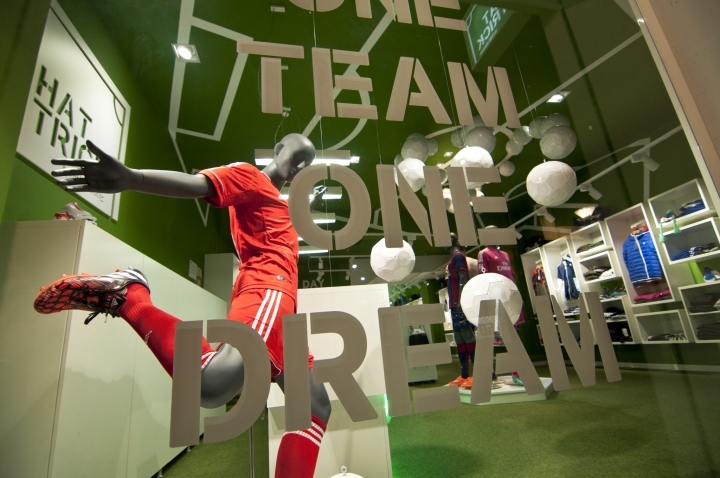 Given the specialization of the store and the typology of young publics, the space has a dynamic and fresh spirit that immerses the customer directly into a football pitch. 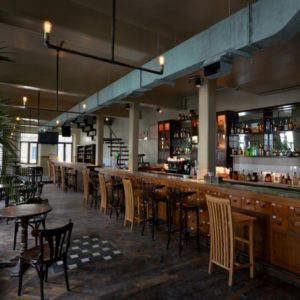 The sport itself, its values and connotations, motivation and self-improvement are the inspiration to create the brand and the interior design. The commercial premise of about 245 m2 is located in the central street Alloza of Castellon. 175 m2 are used for the exhibition area and 70 m2 for storage and offices. The retail space has distinct areas and sorted by type of product. 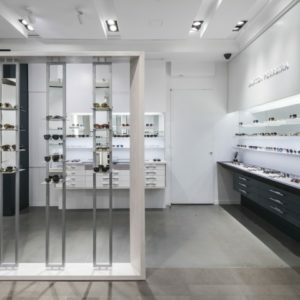 It aims for the visual concept of cleaning as specialist boutique, trying to surprise and stimulate customer during the visit. 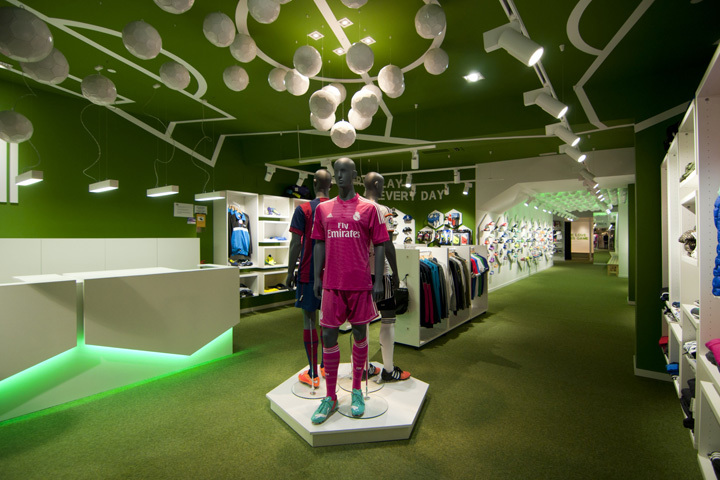 The pitch is part of the store thematical, starting from entrance area where the ceilings are decorated with the lines that define it. 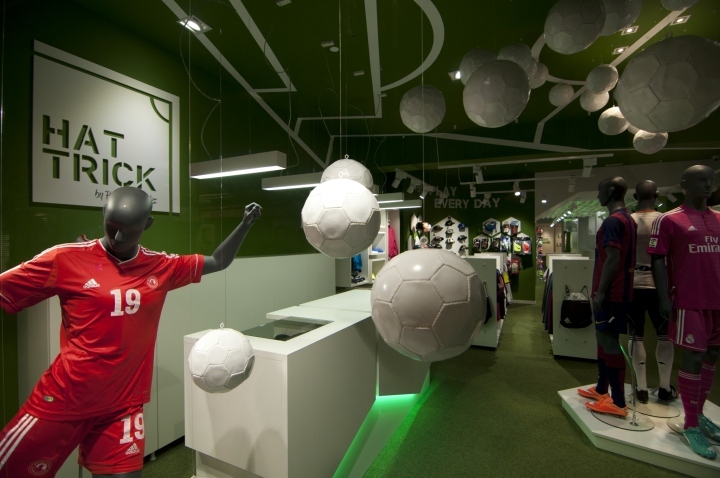 From mannequin boots in the shop window arise several trajectories of balls that are grouped under the center circle drawn in the ceiling. 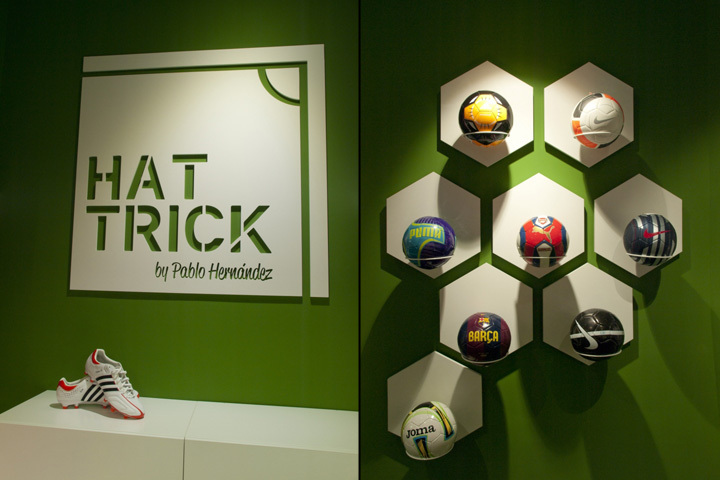 The characteristic hexagonal shape of the ball is used to characterize the design of the counter and some of the display systems. 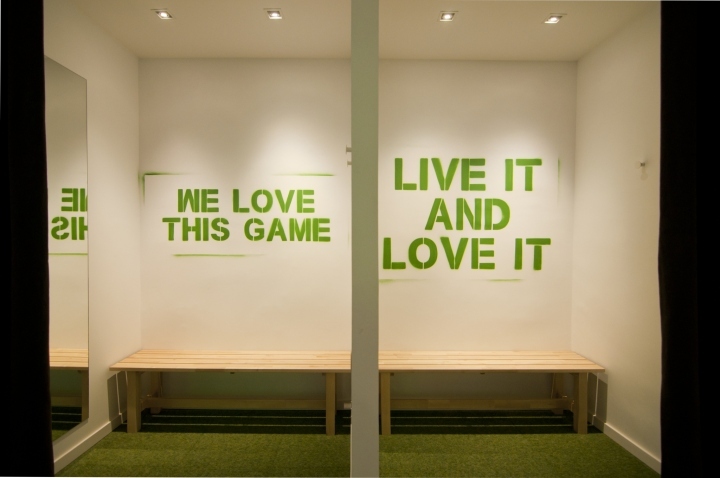 The graphics and football related slogans that decorate the walls are made with the stencil technique (characteristic of urban art), which gives the space a modern and young aspect. Nearly a hundred balls that are illuminated from the ceiling are suspended over the central area of the comercial premise. 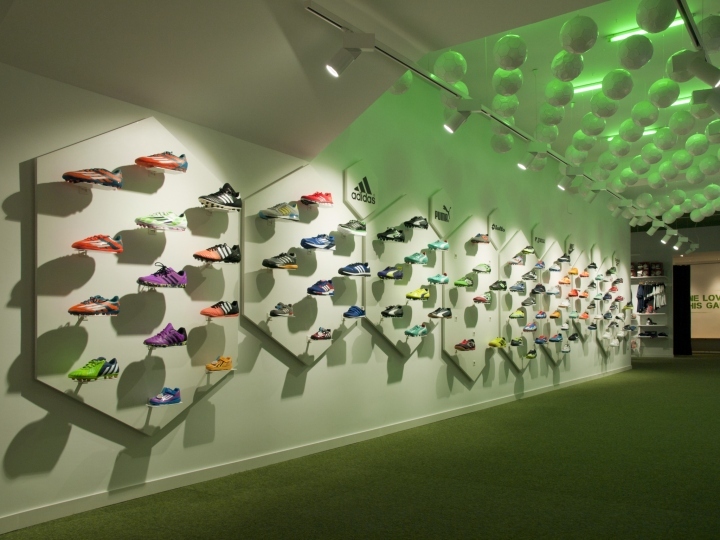 Football boots and sneakers are exposed in this narrow area, which are main products in the store. 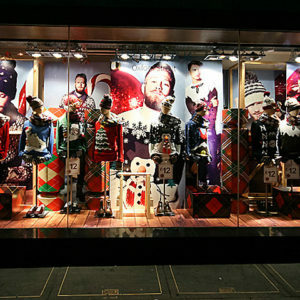 The final area of the store has been designed to test products with a special space for this. 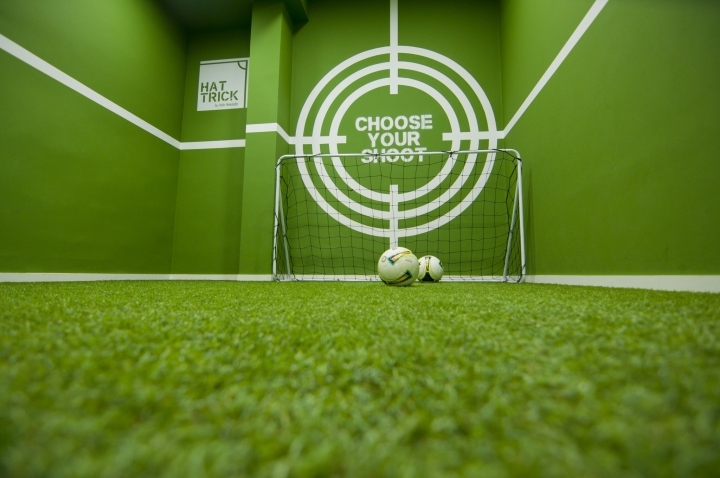 The “test room” has artificial grass and a small football goal where customers can experiment with the products in the shopping process. 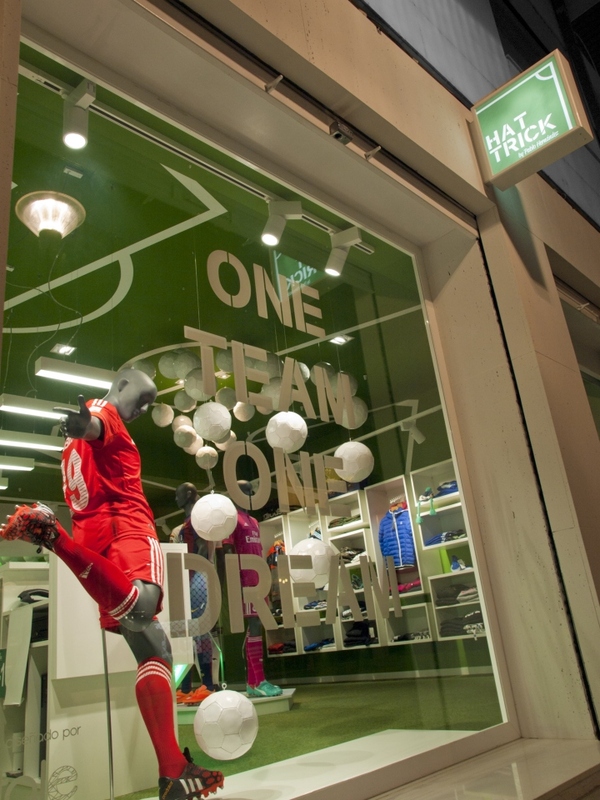 Urban aesthetic finishes and pitch common elements: bench, stadium tunnel, changing room, etc. 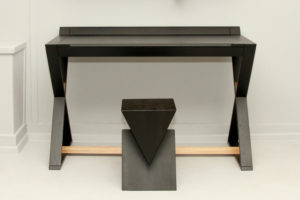 A technique carpet (60×60 cm tiles) covers the floor providing comfort and warmth to interact with the product. 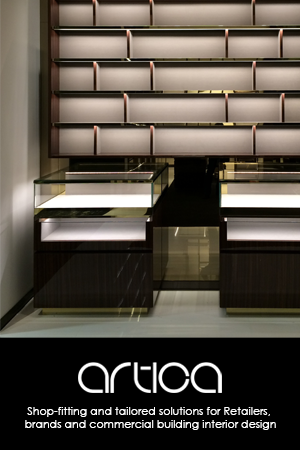 Stage lighting gets great contrasts, highlighting the product displayed using a track pendant LED spotlight system.